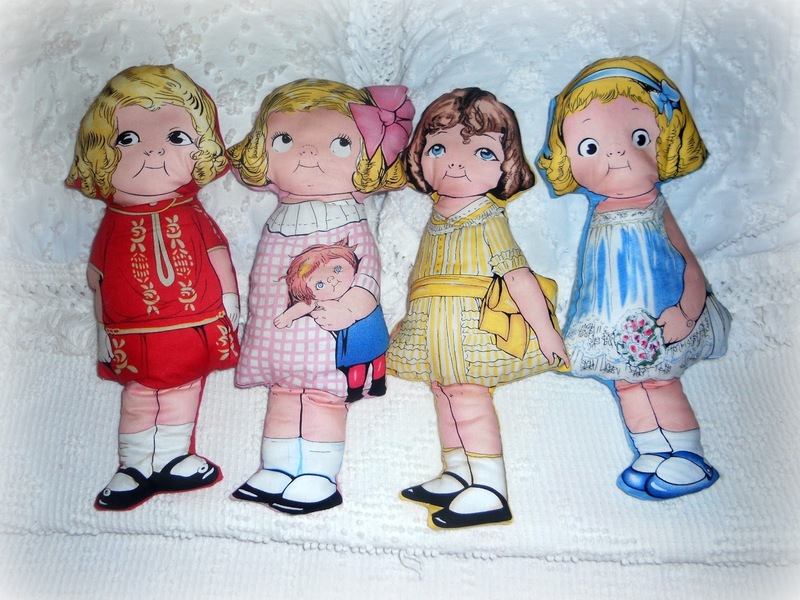 Aren't these the sweetest little dolls you've ever seen? I Love them! I just want to pick them up and squeeze them. They're all so pretty. I just don't think I could pick a favorite. I was lucky enough to find some of this vintage fabric and I couldn't wait to make them and see them come to life. They are so nostalgic looking. Such precious little faces. My youngest daughter instantly fell in love with them so now they grace the shelves in her room. 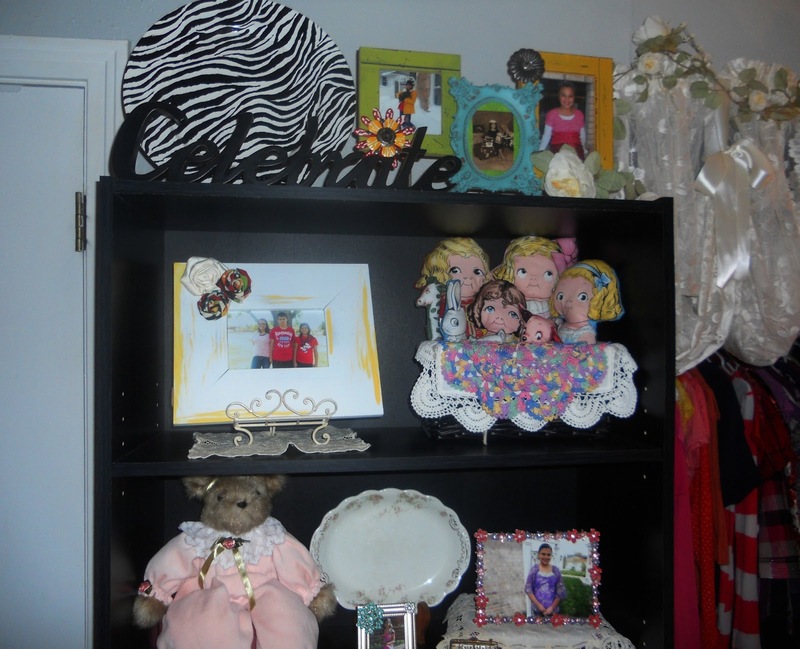 Such a wonderful addition to her girlie room. This is also where the other soft doll I made ended up. I posted about it here. A little mix of vintage and modern. But whether new or old they are sure to bring a smile to everyone's faces. Saw this over at Sew Can Do.. It's so cute, no wonder your daughter loves it! Love them! They remind me of the Campbells kids. I love and use to collect Campbells kids Christmas ornaments. I can see why your daughter fell in love with them.